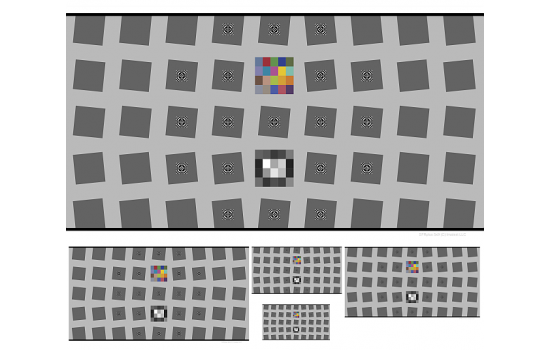 For imaging systems that are designed to be able to focus at close distance, extra concern needs to be paid towards the precision of the test target. Test targets that don’t exceed the precision of your imaging system can impact the accuracy of your results. Using the Imatest Chartfinder utility, you can calculate the size of target that you need, based on your sensor aspect ratio and lens field of view. 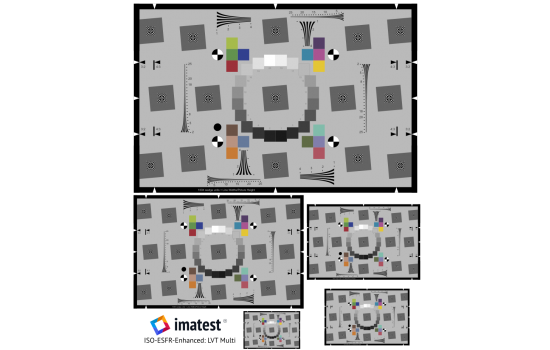 If we are not able to provide a standard target that fits your camera system, you can use the chart finder to share your imaging system details with us so that we can recommend a good solution. 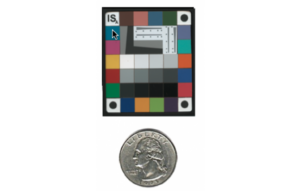 If you need to test your system under reflective lighting, the Rez Checker and Color Gauge targets are the highest precision options available. Transmissive test targets, lit from behind offer the highest spatial precision target patterns. Micro Multi-slide chrome on glass checkerboard+dot pattern. 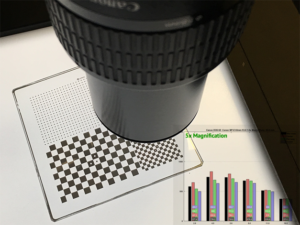 For the most powerful macro cameras such as endoscopes and microscopes, chrome on glass targets are the most precise resolution target available. With their high precision comes a limitation to a single tone. Thinly applied chrome provides a medium contrast ratio of 10:1. 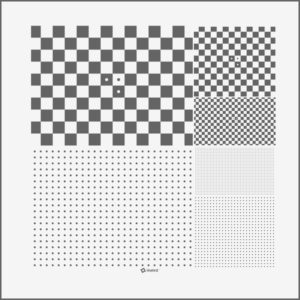 The ultimate high precision test target is the Micro Multi-size target that consists of a 10.2cm (4″) glass plate that offers a wide range of frequencies and both checkerboard and dot pattern test targets. This target on a lightbox enables detailed mapping of sharpness, distortion and chromatic aberration. For an example of a macro lens test, see Testing a macro lens using Checkerboard and Micro Multi-slide. Note that this material is not responsive in the Infrared.